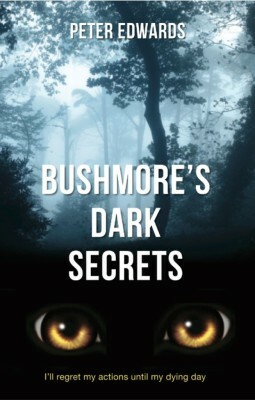 Bushmore's Dark Secrets is a powerful novel that takes on a big brother and delivers the message that we can question authority. I'll regret my actions until my dying day. Five youths alone in the forest make a decision that will change their lives forever. Millionaire businessman Jack Gillings is on his deathbed when he passes his father a manuscript chronicling the events that saw their family move from their hometown thirty-two years earlier. 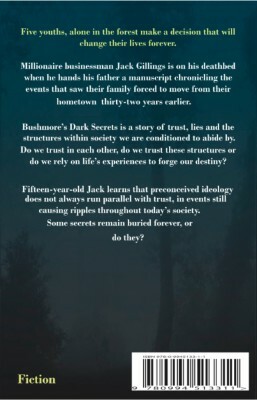 Bushmore's Dark Secrets is a story of trust, lies and the structures within society we are conditioned to abide by. Do we trust in each other, do we trust these structures or do we rely on life's experiences to forge our own destiny? Fifteen-year-old Jack learns that preconceived ideology does not always run parallel with trust, in events still causing ripples throughout today's society.